Once herpes simplex infects a person, the virus goes into hiding inside nerve cells, hibernating there for life, periodically waking up from its sleep to reignite infection, causing cold sores or genital lesions to recur. How exactly does the virus -- harbored by more than two-thirds of the population worldwide -- manage to establish those silent infections only to come out of hiding every so often? It&apos;s a question that has vexed virologists for decades. Now research from Harvard Medical School, published Feb. 6 in the journal mBio, shows that the virus uses a host protein called CTCF, or cellular CCCTC-binding factor, to do just that. In a series of experiments conducted in mice, the researchers revealed that CTCF helps herpes simplex regulate its own sleep-wake cycle, enabling the virus to establish latent infections in the body&apos;s sensory neurons where it remains dormant until reactivated. Preventing that latency-regulating protein from latching onto, or binding to, the virus&apos;s DNA, weakened the virus&apos;s ability to come out of hiding, the research showed. Herpes simplex virus&apos;s ability to go in and out of hiding is a key survival strategy that ensures its propagation from one host to the next. Such symptom-free latency allows the virus to remain out of the reach of the immune system most of the time, while its periodic reactivation ensures that it can continue to spread from one person to the next. "Our findings shed light on one of the more confounding behaviors of the herpes simplex virus -- its ability to transition between silent and active infection, a state of so-called poised latency, which allows it to be quiet yet remain on standby," said study senior investigator David Knipe, the Higgins Professor of Microbiology and Molecular Genetics and interim co-chair of the Department of Microbiology and Immunobiology. Previous research by Knipe and colleagues has revealed that the sleep-wake cycle of the virus is regulated by a see-saw type of interaction between two sets of genes. On one hand, so-called latency-associated transcript genes, or LAT genes, turn off the transcription of viral RNA, inducing the virus to go into hibernation, or latency. On the other hand, a protein made by a gene called ICP0 promotes the activity of genes that stimulate viral replication and causes active infection. Past studies have shown that at times the LAT gene and the ICP0 gene act in opposition to each other, inducing the virus to alternate between dormant and active states, but at times they act in concert to promote either latency or reactivation. The genes are also neighbors, occupying overlapping sites on the viral genome. Building on these earlier findings, the new study reveals that this balancing act is enabled by the CTCF protein when it binds to the viral DNA. Present during latent or dormant infections, CTCF is lost during active, symptomatic infections. To test their hypothesis that CTCF is a key regulator of the viral sleep-wake cycle, the researchers homed in on so-called binding sites, spots on the virus&apos;s DNA where the CTCF protein latches on to turn on infection-silencing LAT genes while keeping a lid on the genes that awaken the virus. The researchers created an altered version of the virus that lacked two of the CTCF binding sites. The absence of the binding sites made no difference in early-stage or acute infections, the researchers observed. In a lab dish, human cells infected with the mutant form of the virus showed similar levels of viral replication with cells infected with the intact virus. The same pattern emerged when the virus was introduced in mice. Animals infected with the normal and mutant forms of the virus had similar viral loads during the early stages of infection. When researchers examined the virus&apos;s behavior in cells obtained from clusters of nerve cells known as trigeminal ganglia, they observed the same pattern. During latent infection, viral levels were similar in the nerve cells of mice infected with both forms of the virus. However, when the virus got reactivated, a striking difference emerged. Nearly 80 percent of nerve ganglia cells obtained from mice infected with regular herpes simplex virus and grown into a lab dish churned out viral copies. 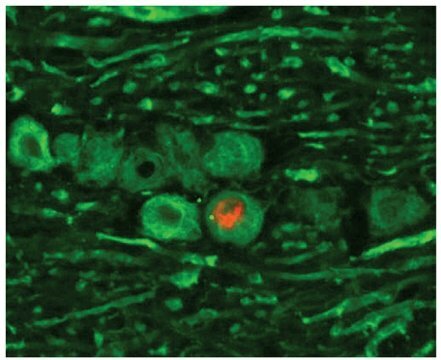 By contrast only 53 percent of nerve cells from mice infected with the mutant form of the virus lacking CTCF binding sites produced detectable virus. The mutant virus had significantly weakened reactivation capacity, the researchers concluded. Taken together, the experiments show that deleting the CTCF binding sites weakened the virus&apos;s ability to wake up from its dormant state -- evidence that the CTCF protein is a key regulator of sleep-wake cycle in herpes simplex infections.